Helping our clients’ achieve their financial goals is the mission of our practice. If clients feel we have increased the predictability of achieving their financial goals, then we have done our job well.  We create comprehensive financial plans for our clients that act as the backbone of everything we do to guide all of our decisions. There is not one solution to how money should be invested. Each client’s plan is personalized based on the particulars of a family’s situation, unique circumstances, risk profile and time horizon. Planning includes an in-depth understanding of a client’s willingness, ability and need to take risk with their investments. Data drives all of the decisions we make at the firm. The data we look at tells us that investors tend to be their own worst enemies. Much of what we do is designed to help our clients overcome the emotional drive to do the wrong things at the wrong times. Our job is to help clients define their goals, remind them of these goals over time and minimize unforced errors on the way to achieving said goals. We are incredibly proud of the portfolios we manage on behalf of our clients. Our job is to build successful, goal-oriented portfolios with an emphasis on historical context, situational awareness and common sense. We prize evidence over excitement and durability over everything as we look to withstand a wide range of market environments. The main focus of our client’s investment plans centers on portfolio construction and risk management, while always keeping in mind costs and tax efficiency.